The crescent moon (hilaal) of 1 Jumadal Akhirah 1440 Hijra was first sighted on the evening of Tuesday, 5 February 2019 from United States of America. No other naked eye sightings were reported from other countries east of the Atlantic Ocean. Therefore, based on global moon sighting, the islamic calendar of 1 Jumadal Akhirah 1440 AH starts on Wednesday, 6 February 2019. Below are the reported images of the crescent moon for Jumadal Akhirah 1440 AH. 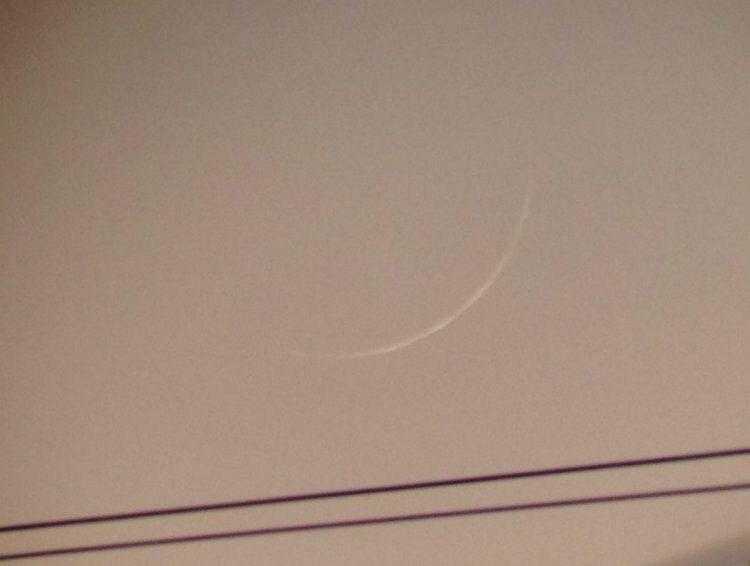 Crescent moon (hilaal) of 1 Jumadal Akhirah 1440 AH sighted from California, USA on Tuesday, 5 February 2019. 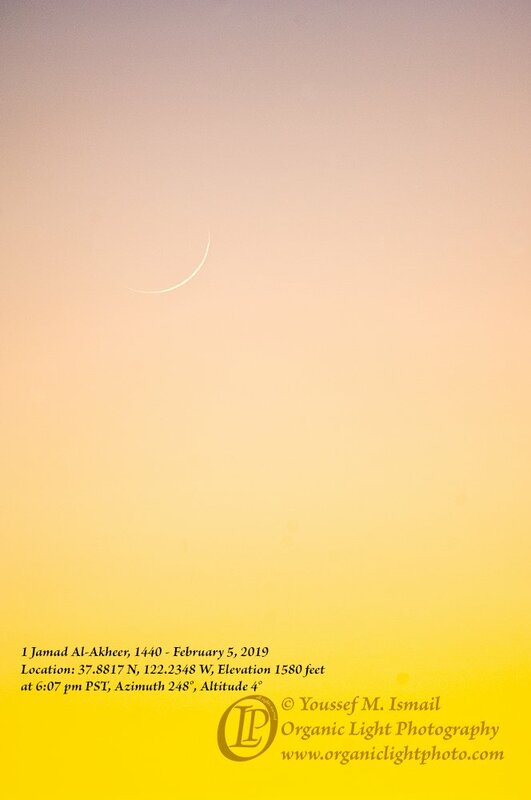 Crescent moon (hilaal) of 1 Jumadal Akhirah 1440 AH sighted from the USA on Tuesday, 5 February 2019.